America has been mythic in its appetite. It simply uses too much stuff like steel, machinery, metals, wood and petroleum. In the EPA year of 1970, ecology was burning and bleeding. In the summer of 1970, the Club of Rome, an informal group of international scholars, expressed grave concerns about the world threaten by arms race, population explosion, and environmental deterioration. They concluded time had come for the leaders of states to embrace limits to economic growth. Some Americans calling themselves environmentalists also concluded there should be limits to exploitation and pollution. Rachel Carson inspired and energized the environmentalists with the power of her words. In 1962, she published “Silent Spring”: a book that summarized the evidence of ecocide from the use of pesticides. Birds suffered the most from the deadly sprays of the farmers. “The great question of the seventies is, shall we surrender to our surroundings, or shall we make our peace with nature and begin to make reparations for the damage we have done to our air, to our land, and to our water? “Clean air, clean water, open spaces-these should once again be the birthright of every American. If we act now, they can be. Richard Nixon’s words of wisdom are as profoundly true today as they were in 1970. They found expression at the EPA. He signed the executive order that created EPA out of parts of other giant departments like Interior, Agriculture, and Health, Education and Welfare. Nixon was preoccupied with the war in Vietnam but, to his credit, he started EPA, an experiment of how you could have industries without killing Americans and the natural world. I joined EPA in May 1979 during the Jimmy Carter administration. I learned quickly the industry did not like the idea of environmental protection. Its lobbyists were moving in the corridors of EPA too often for my comfort. I attended enough of the meetings between lobbyists and senior EPA officials that confirmed my initial hunch about the questionable intend and ethics of the “regulated” industry. The lobbyists appeared at EPA as teachers, big brothers and sisters on a mission to teach EPA scientists advanced science. But, in reality, the purpose of the lobbyists was, and continues to be, convincing EPA scientists to say Yes to all of their proposals. They were propagandists. I resented their half-truths and lies. I stayed away from the trips my colleagues were taking at industry’s expense. I criticized the industry openly. Once, a colleague who worked in the Economic Analysis Branch of the Pesticides Office of EPA warned me I was going nowhere with my criticism of the industry and its influence on EPA. “Your EPA career is over,” he said. This economist was probably right. But I never thought of my employment at EPA as a career. I simply could not tolerate dishonesty. So my “career” practically ended a few months after I started. My colleagues and I were at the EPA not to protect the profits of the industry at the expense of our moral and legal obligation to defend human and environmental health. The most charitable description of my works and days at the EPA was an extended research fellowship. I continued my investigation of alternatives to toxic pesticides. This led me to David Pimentel, professor of entomology at Cornell. This was a prolific scholar with extensive knowledge of agriculture, government regulation, including the ecological costs society and the natural world pay for licensing farmers to spray their crops – the food we eat -- with a tremendous variety of very toxic chemicals. In November 1981, I invited Pimentel to come to EPA and talk to my colleagues. He did. I asked him to tell us what he would do if he were the EPA administrator. He said two things could be done that would immediately reduce the threat of pesticides by at least 50 percent. First, pesticides ought to be given only to farmers who had a prescription from their county agent detailing precisely why those chemicals were necessary to treat the farmer’s land. Second, the EPA should ban toxaphene, a DDT-like chemical that for several decades had left a heavy footprint of poisoning and death in the natural world. EPA had taken DDT off the market in 1972 and in one way or another had heavily restricted some twelve other major pesticides in the first ten years of the agency’s existence. Now, Pimentel said, the time to ban toxaphene had come. Like DDT, toxaphene accumulates at high levels in animals and moves on the back of soil particles, running water, winds and rain. This means toxaphene was a global pollutant. In addition, toxaphene caused leukemia and genetic disease. It harms the nerves and brain of all animals, sterilizing water animals, and having a multitude of deleterious effects on fish and wildlife. In soil, according to the EPA regulatory report, toxaphene kills life for several years. In lakes, it keeps poisoning fish and other water animals from two years to two centuries. The harm is long-lasting because toxaphene accumulates in the bodies of water animals at staggering rates. Yearling brook trout, for instance, absorb toxaphene at 4,000 to 16,000 times the water concentration. Oysters collect toxaphene at nearly 3,000 times the amount of toxaphene found in the water. Even with Reagan in power, the toxaphene fallout overwhelmed the timid scientists of EPA, who in early 1982 decided to disclose what they knew about toxaphene: that the stuff was in the water, food, soil, and air of the entire country, and that the fresh fish and shellfish of entire regions were so contaminated they were unfit for people to eat. EPA scientists David Severn and Joseph Reinert tracked toxaphene in the environment. They talked to BFC, the chemical company manufacturing toxaphene. They were so disappointed with BFC’s do nothing recommendations that they decided to act. They sent a note (detailed memorandum) to their boss, Edwin Johnson, in which they said: BFC’s proposals about toxaphene “would make no useful contribution to our state of knowledge,” Severn wrote. Severn and Reinert were brave, and they were right. They probably suspected nothing would be done. I talked about toxaphene with Stanley Weissman, the legal adviser to Edwin Johnson. He agreed with me that toxaphene had to go. There was no way we could have talked to Johnson. We knew toxaphene was a political problem that could probably be resolved only in a political context. We passed the information about toxaphene to Illinois Congressman Sid Yates who acted quickly. Yates was the chairman of the appropriations subcommittee for the Department of the Interior. He was also well informed about environmental issues. As a Congressman from Chicago, Yates was concerned about the quality of the water in Lake Michigan. He was also very concerned about his wife who had cancer. And once he learned that toxaphene was a cancer-causing chemical raining over Chicago and Lake Michigan, he made up his mind to do something about it. “Toxaphene is used widely in the South as insecticide sprayed on cotton crops,” Yates said. “That in itself sounds entirely harmless, but it does not stay in place.” Like DDT, toxaphene has “a very strong life,” Yates said. “In Lake Michigan, in Lake Superior, whitefish and lake trout have been found to have toxaphene in quantities, according to the U.S. Fish and Wildlife Service under official surveys, of 10 parts per million. The accepted maximum level of FDA for this kind of a carcinogenic material is 5 parts per million. So that in the fish that swim in the Great Lakes, a thousand miles away from where this chemical is used, we find this cancer-producing material in the fish. It is in the food chain that is being used by people all over the country. Yates’ emotional appeal was successful. 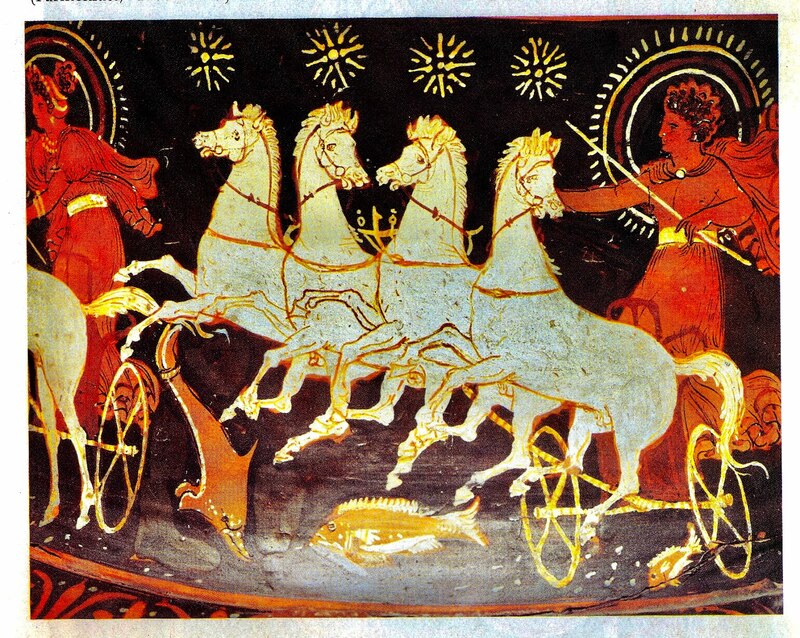 The House banned toxaphene. But the Reagan EPA also rushed to ban most uses of the chemical. I never thanked Sid Yates for his courage, but I knew that what Yates did was one of those rare political moments unlikely to happen again in my lifetime. He was right that cancer is not a curse of the gods, but a variety of different diseases that are triggered by toxic substances in the environment, notably those employed in the chemical warfare of agribusiness. And he correctly characterized the sprays of the farmers as agents of chemical warfare. 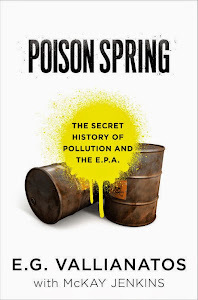 I relate the full story of toxaphene in my book, “Poison Spring.” I mention it here as an unforgettable example of deep corruption and collusion between the EPA and the industry. Like the EPA of our times in 2018, the EPA of the 1980s was under bad and corrupt leadership. The Reagan administration, exactly like the Trump administration, was selling “deregulation” as a fake panacea for boosting the profits of the industry. But Reagan and Trump were not the only presidents pushing deregulation. Without exception, all presidents did to some degree. The industry has money that oils the machinery of American politics. I was very close to the wars fought over public health and the environment – for twenty-seven years. I tried to make sense of what I saw and did for my own sanity. I kept reading, researching the literature, talking to my colleagues, talking to outsiders and, sporadically, teaching at several universities. I even had extensive conversations with Congressional Democratic staff. These guys took detailed notes but, in the end, did nothing. Unfortunately, things have gotten from bad to worse since 1979. Now we threaten insects and birds as never before. In fact, biological annihilation of species is the driver of the sixth mass extinction, which is unraveling entire ecosystems – in our tme. Scientists keep studying this situation and keep publishing their findings in obscure journals few people read. We learn, for example, that salmon face “a double whammy” from swimming in storm water runoff of urban roads. Then another study informs us that the more herbicides farmers use, the tougher weeds become, resulting in higher control costs and lower crop yields. The industry, however, ignores science. Agribusiness in particular does not seem to care about human health, much less about the extinction of insects and wildlife. It is acting as if it owns EPA and the rest of the government. In 2018, we have a president, Donald Trump, and a Republican Party that are reinstating the gilded age of plutocracy. That’s their sole mission. They are also hell-bend in privatizing the government and wrecking all programs of public lands and parks and forests. Moreover, Trump appointed Scott Pruitt at EPA. Both Trump and Pruitt deny climate change, in fact, they deny environmental protection. This reminds me of the thoughtless and dangerous deregulation policies of the Reagan administration almost forty years ago. Making it easier for polluters to dump their toxic wastes into lakes, rivers, seas and oceans should be punishable as crimes against humanity and the Earth. Perpetuating the spaying of our forests, crops and lawns by deleterious chemicals is another massive crime. It does not matter what the experts say about the “safety” of pesticides -- political chemicals of the highest order. They were born in chemical warfare. They have never been tested honestly because of the fear tests would reveal their deadly effects. No government has regulated them with an eye of keeping them out of the air, water and food. It cannot be done. They are created to kill life in all its forms. They are biocides. No lobbyist or propaganda can change that chemistry. Our responsibility is to ban them. Stop chemical warfare. Sid Yates was right. In addition, in 2018, we know so much more about the bad science and collusion between government and industry underpinning the infrastructure of pesticides in America – and the world. In 2017, thousands of digitized government and industry documents were released and are now available for inspection. On February 13, 2018, Senator Sheldon Whitehouse urged his colleagues to wake up. The threat, he said, is all over the country and its name is the National Association of Manufacturers representing corporate America. These manufacturers have been on a war footing against the idea and reality of global warming – exactly like Trump and Pruitt. With the National Association of Manufacturers against climate change, the road to a safer and healthier future becomes a narrow path. Rejecting climate change means the rejection of science and science-based decisions and policies. Without science for the discovery of truth, one person or society falls into falsehoods, deceptions and, in the end, oppressions, wars and barbarism. Despite the power NAM represents, it must be defeated. There’s simply no other choice. The anti-climate change agenda of NAM, Trump, and Pruitt is a recipe for domestic and international calamity. Climate to these politicians and corporations is more than rains, no rains, draught, snow, cold and heat. It is business as usual: boosting pesticides, industrialized farming, drilling for petroleum, and more plunder of the natural world. It would also freeze all environmental improvements: just a straightforward dive into filth, disease and death. So resist the preaching on the benefits of another dark age. Eat organic food. Convert your towns to pesticide-free zones. Learn from those who have done it. For example, the small Italian town / village of Mals has successfully become a pesticides-free zone. Organize your friends for taking the power away from the Republican oligarchs and Trump. And dream of another EPA: one that would defend and protect human and environmental health. EPA could be the peacemaker between us and nature. Nixon was right. We must make peace with the natural world, otherwise our children and grandchildren will forever curse us.